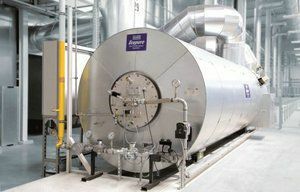 The Ecopure® TAR recuperative thermal exhaust air purification process is the best-proven, safest and most universally applicable incineration method, by means of which organic contaminants are transformed mainly into water and carbon dioxide. The most stringent legal requirements are met. There are no secondary problems such as waste water. The plants maintain their high removal efficiency throughout their lifetime. These systems can run fully automatically and require minimum maintenance. Dürr Ecopure® TAR plants are used worldwide. DÜRR has already built more than 1.800 plants of this type and delivered them to customers.